My favourite place in Paris at the very moment isn't anywhere fancy nor monumental. 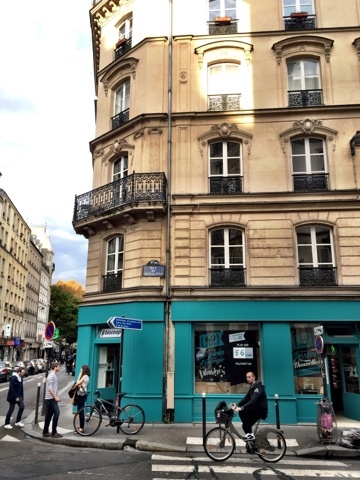 It's in the 10th arrondissement at number 14 rue du Château d'Eau where Biocoop 21, along with the help of SEAMEST, a City of Paris organisation supporting the maintenance and development of local trade, has just set up shop. 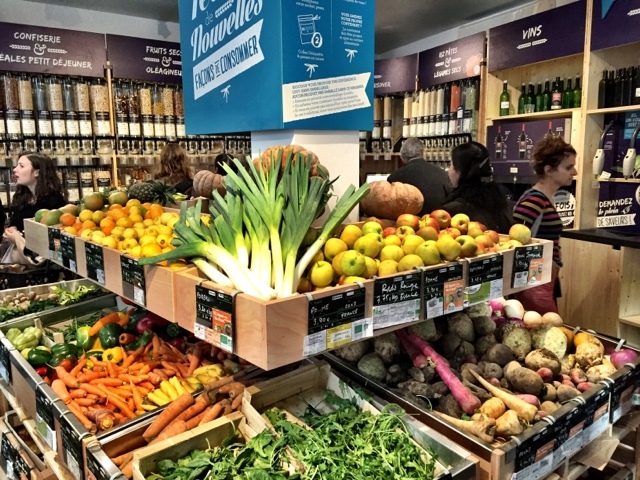 Biocoop is your French fair trade, organic, local and environmentally responsible supermarket supplying quality produce and household items around France. 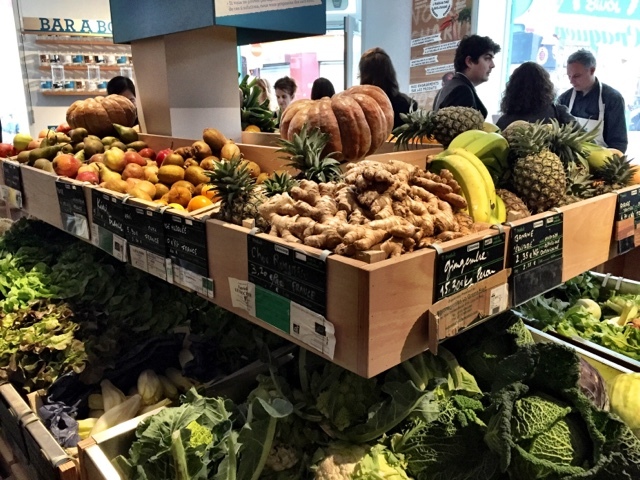 And a few days ago, it opened its very first supermarket in Paris with ZERO PACKAGING and ZERO WASTE. Customers are encouraged to bring their own jars, bottles, bags, containers etc. to transport their purchases home. For those who aren't able to, bottles, cloth pouches and 'algobols' made from 100% recycled algae are available for their initial purchase to be refilled at your future shop. *Sous les fraises ("under the strawberries") is the waste conscious eco-friendly French startup that will manage the responsible disposal of all compostable organic waste material produced by Biocoop 21. *PHENIX is the organisation that will recuperate all unsold produce and distribute it to associations and charities to help those in need. What can you find at Biocoop 21? LOADS of organic, seasonal and local produce. In fact, there are 250 product references available ranging from organic, seasonal and local fruit and veg, organic wine, olive oil, honey, coffee, grains, cereals, chocolate, dried fruit, nuts, cheese, yoghurt, even eco-friendly cleaning products. The organic red wine starts at 4€ per 750mL ranging up to 6.90€ for 750mL of the Bordeaux. 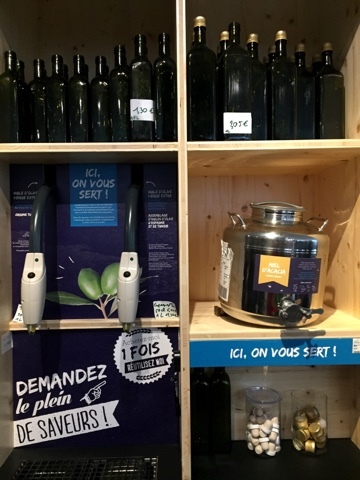 The organic olive oil and honey is also dispensed and sold in the same way. All your grains, cereals, nuts, biscuits, chocolate, rice etc. are also sold by weight, ready to be purchased in bulk. Buy only what you need instead of prepackaged quantities that you might end up throwing out. Prices are relatively competitive as well. Take the eco-friendly cleaning products below, they actually work out to be cheaper than supermarket equivalents. 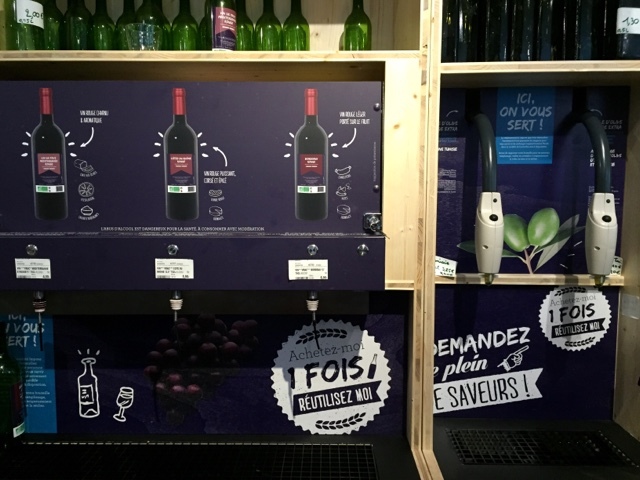 The dispenser is automated to deliver 1L quantities into your bottle (which you are need to exceptionally purchase at the beginning so that it has all the safety warnings on the back for legal reasons) but it only costs 50c for the initial bottle. I picked up two bottles: 1L of everyday eco-friendly lemon and lemongrass cleaning liquid for 1.90€ and 1L of eco-friendly dishwashing liquid for 2€. BARGAIN. This is a fantastic initiative by the city of Paris in preparation for the upcoming COP 21 Climate Conference on the 7th and 8th of December. For the moment the pop-up store is only open until the 31st of December (which gives us 60 days to REALLY get behind it!) but if it proves to be successful there will be more popping up around Paris. 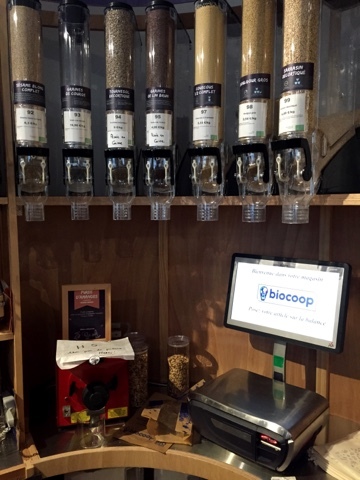 As for the fittings, not to worry as they were all produced with 100% untreated wood and will be reused at another Biocoop store afterwards (I had to ask them!). Come down to visit and do your bit to help make a difference. If you don't live in Paris, share this post or any other article you can find! I am in no way affiliated with the store or the Biocoop brand, I am just really really passionate about all that this represents. Manufacturers and supermarkets use so much unnecessary packaging to deliver us our produce. Because the quantities are predetermined by them, we end up buying too much and throw out what ends up going off, along with all the packaging that was used to transport it. If we are going to change how things are, instead of recycling more, we need to shift our focus on bringing home less in the first place. Buy whatever quantity you actually need to minimise food wastage then transport it home using your own reusable packaging. 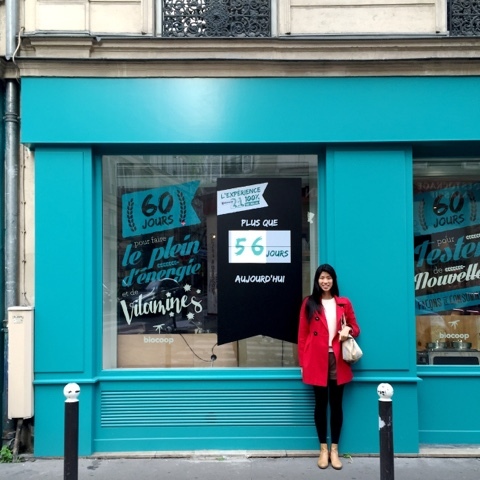 I don't have a huge disposable income in Paris but I am more than happy to put my money behind a concept that is deserves to be supported, encouraged and spread, throughout Paris, France, Europe and the rest of the world. 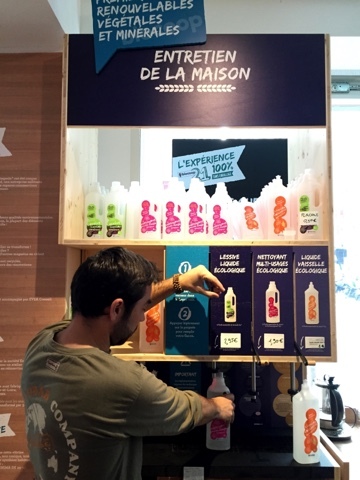 There is Unpackaged in London, In.gredients in Austin, Texas, Original Unverpackt and now Biocoop 21 in Paris. Allez, who's going to be next..? I love it! I can't wait until there are more places like this! I KNOW! It should be diffused all around the world!